In tropical countries like India the success of silkworm rearing depends upon the protection of crop from the disease causing pathogens. 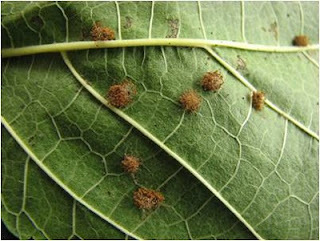 In temperate sericulture regions ideal climate, superior quality of mulberry leaves and restricted number of rearing in a year reduces the chance of disease incidence. The reason for outbreak of silkworm diseases in India includes continuous rearing throughout the year, availability of large population of different stages in a limited area, inferior quality of mulberry leaves and unhygienic rearing condition etc. Disease out break not only affects the income of the farmers but also scuttles the seed cocoon and silk production plans. Domestication for the past several thousand years has rendered the silkworm, highly susceptible to different pathogens leading to diseases and crop loss. 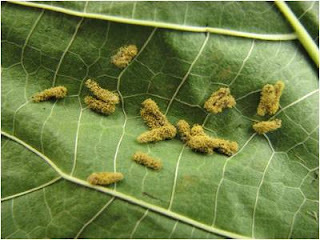 Different micro-organisms such as viruses, bacteria, fungi and microsporidia cause infectious diseases in silkworm. Aspergillosis is a major silkworm disease in several sericultural countries. This is caused by a number of Aspergillus species of fungi. Aspergillus species have been known to be pathogenic to silkworms since the latest part of 19th century (Nomura, 1897). This disease is commonly called `Kojickabi’ in Japan (Ayuzawa, et al., 1972) and also known as brown muscardine. Many aspergillus species have been reported to infect silkworm (Aoki, 1971). More than 10 species of Aspergillus were reported from Thailand, Indonesia, Srilanka and India (Govindan and Devaiah, 1995) as pathogenic to silkworm, viz., A. flavus, A. tamari, A. oryzae, A. niger, A. ochraceus, A. sojae, A. fumigatus, A. nidulans, A. flavipes, A. clavatus, A. terreus, A. melleus, A. elegans, A. parasiticus, etc. A. flavus Link and A. tamari Kita are most common in India. Aspergillus bombycis Peterson et al. is a recently described species known only from domesticated silkworm [Bombyx mori L. (Lepidoptera: Bombycidae)] culture in Indonesia and Japan (Peterson et al. 2001). Aspergillus is a facultative fungus and is able to live saprophytically in the silkworm rearing environment like soil surface and rearing appliances, silkworm faeces etc (Aoki, 1971; Ayuzawa et al., 1972). These form the source of the fungus and thus disease spreads rapidly. Though Aspergilli are saprophytic, they are reported to be pathogenic to several insects in addition to Bombyx mori (Govindan et al., 1998). The early instars i.e., first and second instar silkworm larvae are more susceptible and later stage silkworms are fairly resistant to this diseases. High temperature and high relative humidity conditions maintained during young stage are reportedly contributing factors to greater disease incidence during young age (Govindan and Devaiah, 1995). Aspergillus flavus Link. and Aspergillus tamarii Kita are commonly found strains in India. Majority of aspergilli grow well and sporulate abundantly at 23 - 26°C (Thom and Raper, 1945). Temperature between 30 - 35°C for Aspergillus flavus and 20°C for A. tamarii are congenial for good growth (May et al., 1931). The thermal death point is 54°C for A. flavus and 55°C for A. tamarii. According to Kawakami (1982), temperature range of 28 - 30°C and relative humidity from 85 to 95% favours the growth of silkworm, which in turn is congenial for aspergillus development. 100% mortality occurs at all combinations of temperature (20, 25 and 30°C) with humidity levels (80, 85, 90 and 95%) (Chinnaswamy, 1983). The disease development is slow at low temperature and more rapid at high temperature. Aspergillus spp. infects the silkworm through the integument. The conidia are the infectious units and these on coming in contact with host-integument under congenial conditions of temperature and humidity germinate to put forward the germ tube that penetrates through integument. Since Aspergillosis is caused by various species of Aspergillus, the symptoms are not always same. Young silkworms are very much susceptible, compared to the mature worms. Infected larvae stop feeding, become letharginc, show body tension and lustrousness and the victim die soon due to Aflotixin produced by the fungus in the host. Aerial hyphae appear a day after death and later conidia cover the body giving particular colour according to the Aspergillus species. Hardening of the body is limited to the site of infection and the rest of the body decay. Diagnosis of the disease is based on the hardening of the corpse and the morphology of the hyphae. The pathogen has been observed to produce kojic acid (C6H6O4). The virulence of the strain of A. flavus and their resistance to formalin is related to the production of Kojic acid (Kawakami and Mikuni, 1969). Two toxic fractions also have been isolated from A. flavus that kills the larvae of mosquitoes Culex peus and C. tarsalis (Toscano and Reeves, 1973). The Aspergillus species also produce toxins called aflatoxins. The aflotoxins are very potent carcinogens and produce tumours primarily in the liver of vertebrates, including human being (Wyllie and Morehouse, 1977). Four aflotoxins B1, B2, G1 and G2 have been detected from A. flavus. Aflotixin B1 was highly toxic and G1 was moderately toxic to silkworm larvae. There is correlation between the presence of aflotoxin and the pathogenicity to the silkworm, their tolerance to formalin, and the ability to produce pigments (Ohtomo et al., 1975). A strain of A. flavus in addition to aflotoxin, also produce two more toxins, cyclopiazoic acid (indole tetramic acid) and aflatrem (indole mevalonate meatbolite) (Richard and Gallagher, 1979). A. ochraceus which also infects silkworm produces destruxins (Kodaira, 1961). Toxins produced by A. fumigatus include fumagillin, helvolic acid, fumitremorgins, phthioic acid and gliotoxin among others [http://www.aspergillus.man.ac.uk/index home.htm (accessed on 11/06/2010)]. Chinnaswami (1983) reported that in Karnataka, India the percentage of disease incidence ranged from 5.32 (February-March) to 21.36% (July-August). In Thailand, incidence of Aspergillosis is more during June and August and less during September (Aoki, 1971). The disease is noticed on first to third instar larvae during January to February and on fourth and fifth instar larvae during July (Aoki et al., 1972). Singh et al., (2004) reported that the maximum crop loss per 100 layings (50000 larvae) was 1.35±0.73 to 1.61±1.46 kg cocoons. Incidence was higher in bivoltine silkworm rearing than in multivoltine and cross breed. Preventive measures such as disinfection and hygiene maintenance in the rearing environment is the best way to keep the disease at bay. Many studies have proved that many A. flavus strains are resistant to formaldehyde (CH2O). Hence the use of disinfectant should be judiciously chosen. Sodium penta chloro phenoxide monohydrate as a disinfectant against Aspergillus fungi invaded into rearing tools was more effective than 3% formalin (Wadee et al., 1972). Benzalkonium chloride, iodine disinfectant, benzalkonium chloride + dodecyl diaminoethylglycine, didecyl dimethyl ammonium chloride, etc are proved to be effective (Kawakami, 1982). In vitro studies by Graham and Graham (2007) have shown that, mycelial growth and toxin production by A. parasiticus were inhibited by garlic concentration of 0.3 - 0.4%. Sun drying of rearing equipments is an effective way of destroying Aspergillus pathogens to some extend. Sick worms discovered before conidification should be incinerated or placed in lime jars and never thrown around indiscriminately. The faeces and bed refuses should be disposed off properly and disinfection with anti muscardine powder should be carried out immediately. Aspergillosis is not considered to be a very serious threat to the sericulture industry. But the sparseness of studies on the extent of its damage and economc loss has lead to gross under estimation of its ill effects. This research gap deserves attention. Development of silkworm breeds tolerant to aspergillosis could be a worthwhile pursuit for silkworm breeders. Further the persistence and crossing over of Aspergillus pathogens from other insect pests and mulberry pests needs to be thoroughly investigated. Aoki K (1971) Silkworm diseases in Thailand. Bull. Thai. Seric. Res. Trg. Inst. 1: 102-108. Aoki K, Isarangkul L and Sinchaisri N (1972) On silkworm diseases, especially pebrine and Aspergillus diseases found in 1971. Bull.Thai Ser.Res.Trani. Centre, 2: 72-76. Ayuzawa C, Sekido T, Yanakawa K, Sakura V, Kuratta W, Yaginuma Y and Tokora Y (1972). Agricultural Techniques manual-1. Handbook of Silkworm rearing, Fuzi publishing Co. Ltd, Tokyo, Japan. 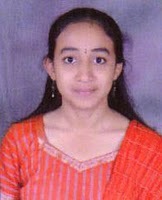 Chinnaswamy, KP (1983) Studies on Aspergillosis of silkworm Bombyx mori Linnaeus caused by A. tamari kita M.Sc. (Agri) Thesis, UAS Bangalore, p. 112. Graham HD and Graham EJF (2007) Inhibition of Aspergillosis parasiticus growth and toxin production by garlic. J. Food Safety 8(2): 101-108. Govindan R, Narayanaswamy TK and Devaiah MC (1998) Principles of silkworm pathology, Seri Scientific publishers, Bangalore, pp. 270-285. Kawakami K (1982) Causal Pathogens of Aspergillus diseases of silkworm and its control, JARQ, 15 (3): 185-190. Kawakami K and Mikuni T (1969) Studies on the causative fungi of Aspergillus disease of the silkworm larvae I. Pathogenicity to the silkworm larvae and tolerance to formalin of Aspergilosis isolates collected from co-operative rearing houses of young silkworm larvae. Bull. Seric. Expt. Stn. (Tokyo) 23: 327-370. Kodaira Y (1961) Toxic substances to insects, produced by Aspergillus ochraceus and Oospora destructor. Agric. Biol. Chem. (Tokyo), 25: 261-262. May OE, Moyer AY, Wells PA and Iterrick MT (1931) The production of Kojic acid by Aspergillus flavus . J. American Chem. Soc .53: 774-782. Ohtomo T, Murakoshi S, Sugiyama J and Kurata H (1975) Detection of aflotoxin B1 in silkworm larvae attacked by an Aspergillus flavus isolate from a sericultural farm. Appl. Microbiol. 30: 1034-1035. Richard JL and Gallagher R (1979) Multiple toxin production by an isolate of Aspergillus flavus. Mycopathologia, 67: 161-163. Singh GP, Selvakumar T, Sharma SD, Nataraju B and Datta RK (2004). Estimation of crop loss due to aspergillosis and pathogenicity of Aspergillus to Silkworm, Bombyx mori L. Sericologia 44(3): 321-326. Thom C and Raper KB (1945) A manual of the Aspergilli. The Williams and Wilkins Co.; Baltimore, M.D; USA. p. 373. Toscano NC and Reeves EL (1973) Effect of Aspergillus flavus mycotoxin in Culex mosquito larvae. J. Invertebr. Pathol. 22: 55-59. Wadee L, Ayuthaya I, Sinchaisri N and Aoki K (1972) Disinfection of Aspergillus grown on silkworm rearing tools made of bamboo. Bull. Thai. Seri. Res. Trg. Centre, 2: 72-76. Wyllie TD and Morehouse LG (1977) “Mycotoxic Fungi, Mycotoxins, Mycotoxicoses: An Encyclopedic Handbook”. Vol. 1, Marcel Dekker, New York.